Last week, the UK voted to leave the European Union’s body of 28 member nations. In what has come to be known worldwide as Brexit, Britain’s “Leave” vote is the new “shot heard ‘round the world,” effectively throwing its own and everybody else’s economies into uncertain and uncharted waters, and it’s not like all was well. Economic stagnation grips Europe and China. Brazil, once the poster child for emerging markets, is teetering on collapse as the Rio Olympics — brought to you by corruption and the Zika virus — draws near. The U.S. is arguably facing its most important election season in recent memory. Depending on the outcome of Clinton vs. Trump, the world economic waters could muddy even further. U.S. Manufacturing Hearts The U.K.
For manufacturing, the muddy waters are already waist-high. The EU represents about 40 percent of the global economy, making it the largest commercial market for the United States. American exports to the EU reached $836 billion in 2015, and transatlantic investment equaled more than $1.6 trillion in 2014. Many U.S. companies have headquarters in London that function as their launch pad into the EU’s open market. 30 percent of sales made by American companies in Europe are made in the UK. The remainder U.S.-manufactured exports to the European Union are distributed among its currently loyal 27 members. 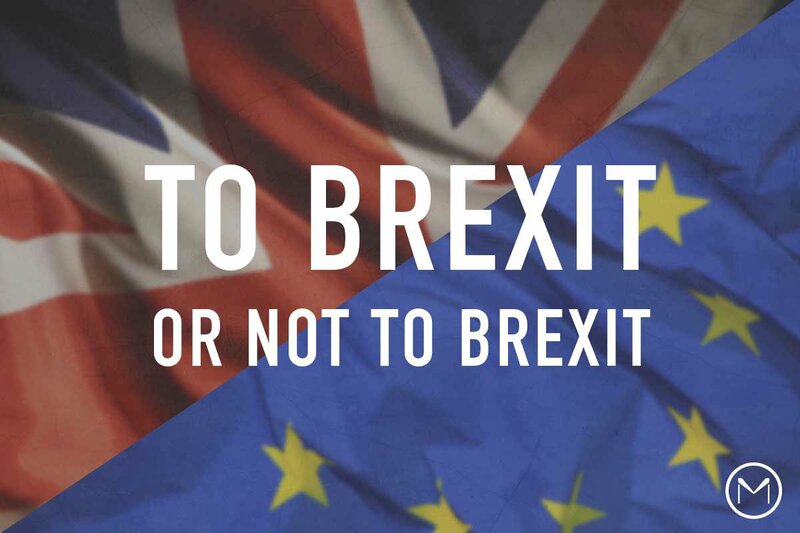 By voting “Leave,” the UK has put its own access to the EU’s open markets in jeopardy and in limbo. Ours, too. The most instant effect of Brexit on U.S. manufacturing is plunging confidence levels. No one knows how Brexit will end up changing the face of the global economy, and this uncertainty makes economic actions — like making growth prediction — hard to take. When the Institute of Directors (IoD) — a European version of NAM — undertook a survey of its members after the Brexit vote, almost two thirds of them believed the vote was bad for business. One fifth of British businesses are now considering a move abroad, and one third of IoD members plan to cut investment in future growth opportunities due to economic uncertainty. Many U.S. manufacturers who export to the UK and the EU are likely feeling the same way. For U.S. manufacturers, one of the biggest benefits of the EU is its open market and free-flowing trade, and Britain has long been our main port of entry. If Britain leaves the EU, new and separate trade deals will have to be written and agreed upon. New regulatory bodies and regulations will spring up, resulting in twice the red tape, twice the compliance concerns, even twice the time to get approval to sell. Future trade deals are unlikely to grant Britain easy access to EU markets, since negative consequences for Brexit will help keep other member nations in line. As the gateway through which American goods have long traveled to the EU, what happens to Britain happens to American goods. Any punishment meted out or hurdles that result will be felt by U.S. companies, too. 21st-century economies and companies rely on stability, because it helps foster growth and profitability. With Brexit, uncertainty is the new normal. What if more EU members decide to leave? What if the EU falls apart? These may seem like dystopian concerns, not economic ones, but Britain’s “Leave” vote is really a vote of no-confidence in the EU. That it might also be a vote of no-confidence in what the EU stands for — the propagation of lasting peace through economic cooperation and the free movement of goods, people and ideas — is both harrowing and likely. Already, a reported $3 trillion has been lost as global markets came crashing down on the heels of Brexit. While we watch and wait for the dust to settle, U.S. manufacturing — and anyone who cares about it or claims to — would be wise to learn from Britain’s choice.